Embattled President Yahya Jammeh of The Gambia has warned the high Level ECOWAS mediation mission led by Nigeria’s President Muhammadu Buhari against coming to Banjul, the Gambian capital on Wednesday for peace talks. He asked them to instead come on Friday. President Buhari, who is leading the mediating team alongside Mr. John Mahama, the immediate past President of Ghana said the delay notwithstanding, the mandate of the ECOWAS would be accomplished. Jammeh who had hoped to use the country’s Supreme Court to upturn opponent Adama Barrow’s election found the road closed today after the court postponed the hearing of the case for months. Gambia’s Supreme Court said today that it cannot rule on Jammeh’s challenge against his electoral defeat on 1 December due to lack of judges. “We can only hear this matter when we have a full bench of the Supreme Court,” Emmanuel Fagbenle, the court’s chief justice said Tuesday. The Nigerian judge said the extra judges needed to hear the case were not available. The Gambia relies on foreign judges, notably from Nigeria, to staff its courts due to a lack of trained professionals in the tiny west African state. 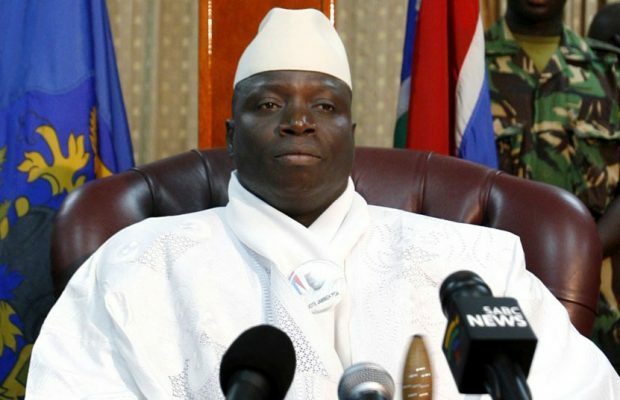 Jammeh’s political party lodged a legal case on his behalf last month aimed at annulling the December 1 election result and triggering new elections. “This is why alternative dispute resolution is important,” he said. “We are now only left with the ECOWAS mediation initiative and the inter-party committee set up by government to resolve the dispute,” he said.